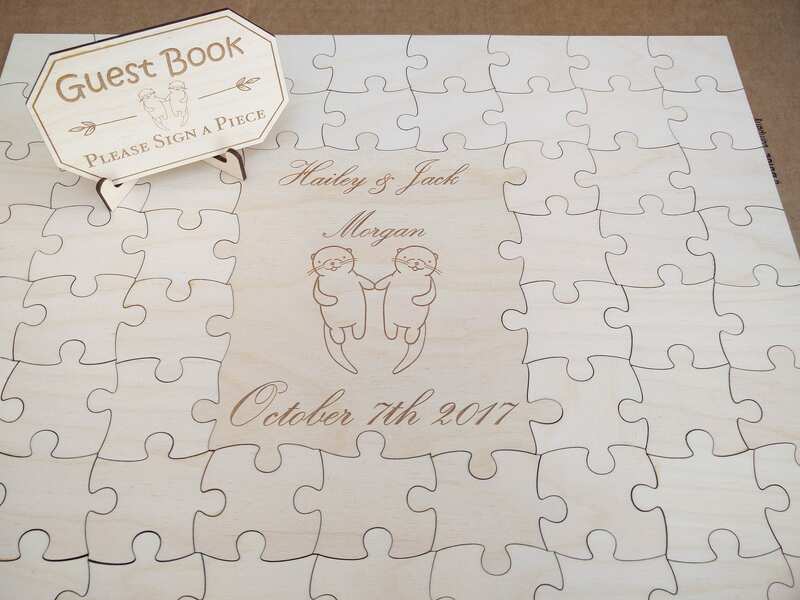 Wood Guest Book Puzzle. 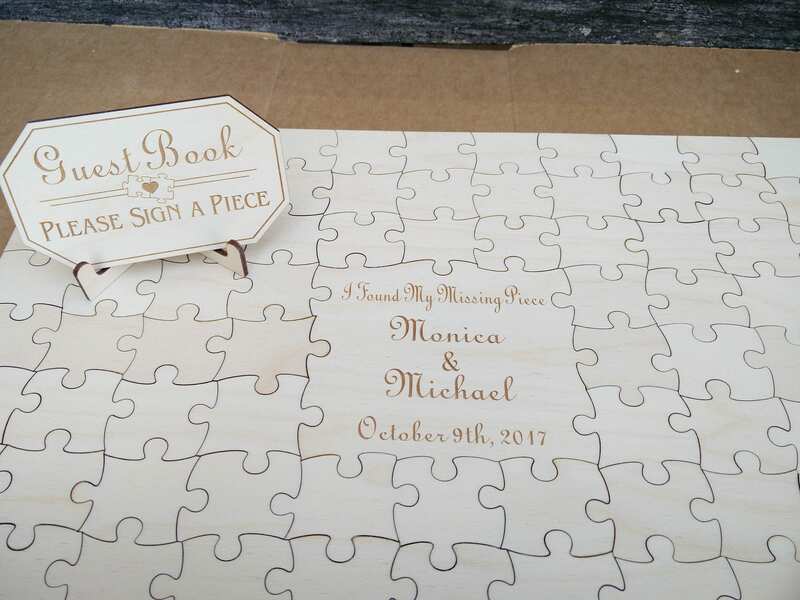 Personalized, Guest Book Alternative. Wedding, Shower, Party. LARGE Pieces. Laser Engraved. 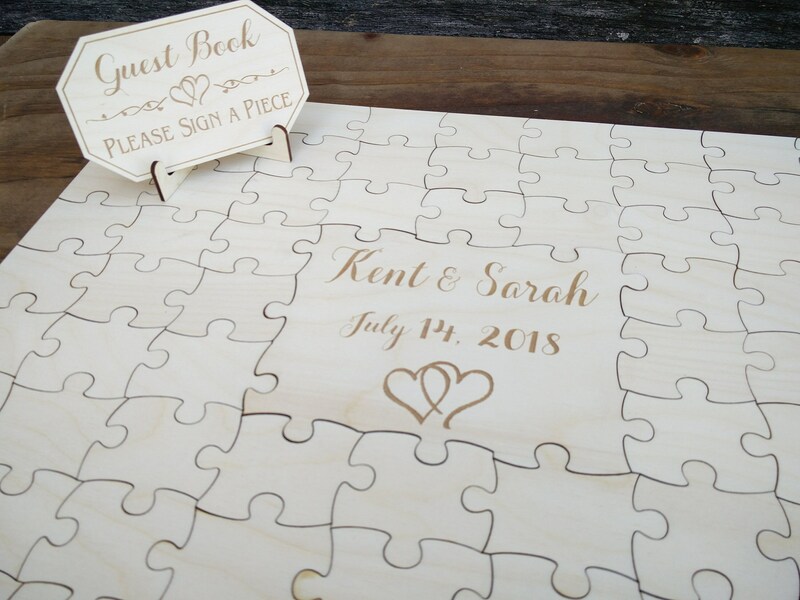 These laser-cut puzzles are the perfect guest book for any wedding! 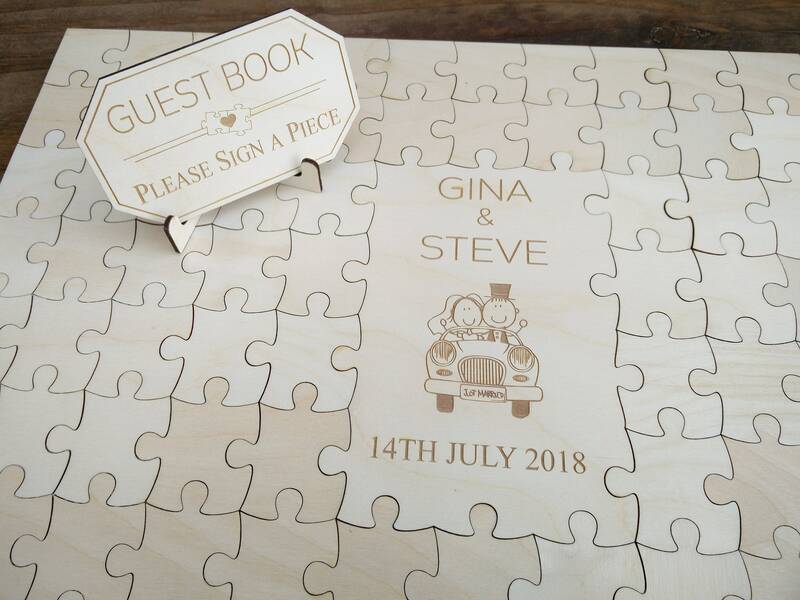 They are a great alternative to the traditional guest book. 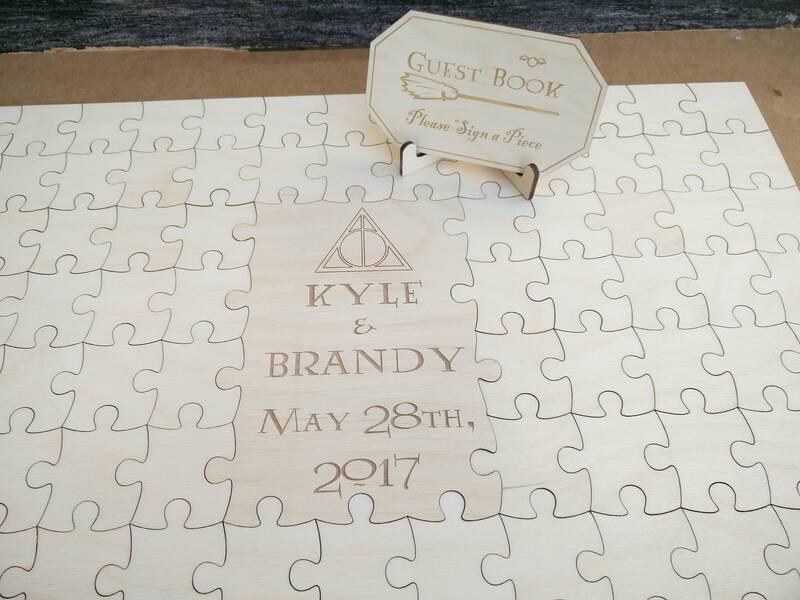 Each guest signs a piece of puzzle! It makes a great wedding day memento. 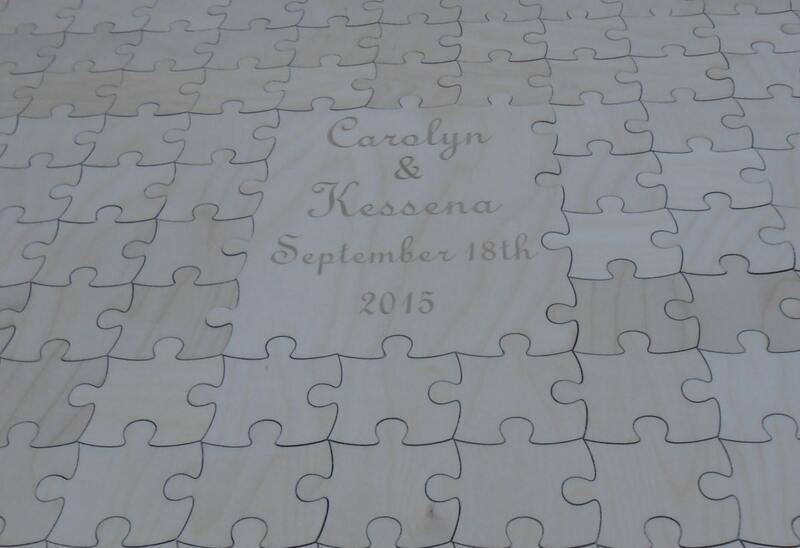 The puzzle is customizable with whatever you want engraved in the big square. We can add simple images, or you can just have writing. Your choice! -Please select the amount of puzzle pieces you need, and if you want them uniform or random. (Picture 4 shows uniform and picture 1,2,3, and 5 shows random). The size of the puzzle gets bigger with more pieces. 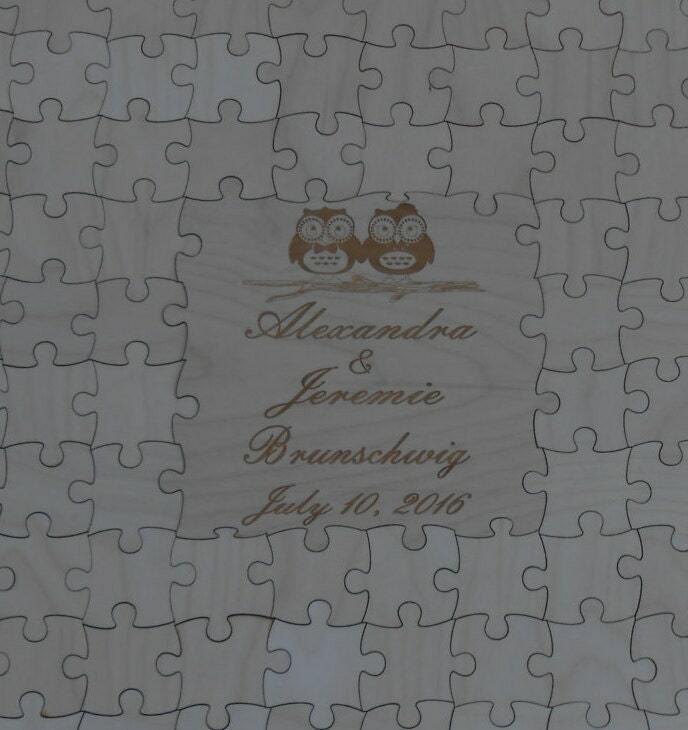 We try and keep the puzzle pieces around 1.75-2 inches. 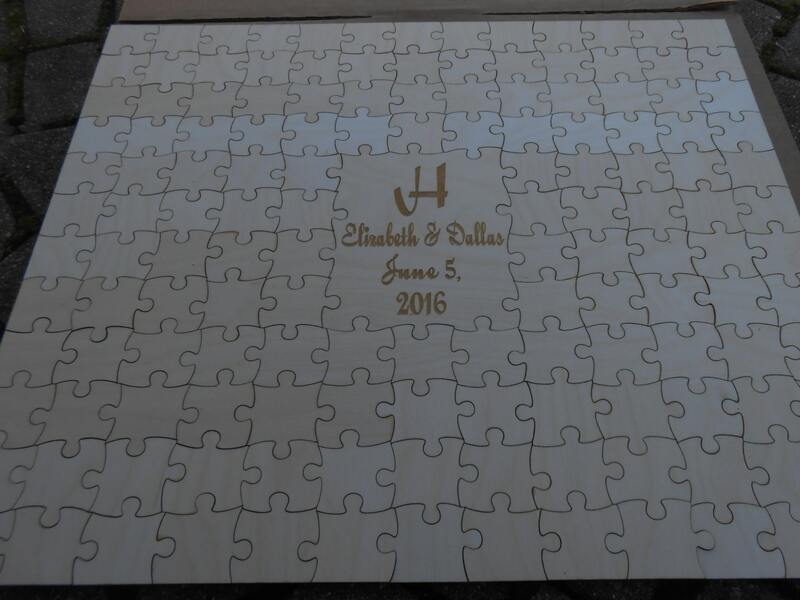 Please let us know if you want the big square in the middle of the puzzle, or in one of the corners. Please allow 2-4 weeks for production. 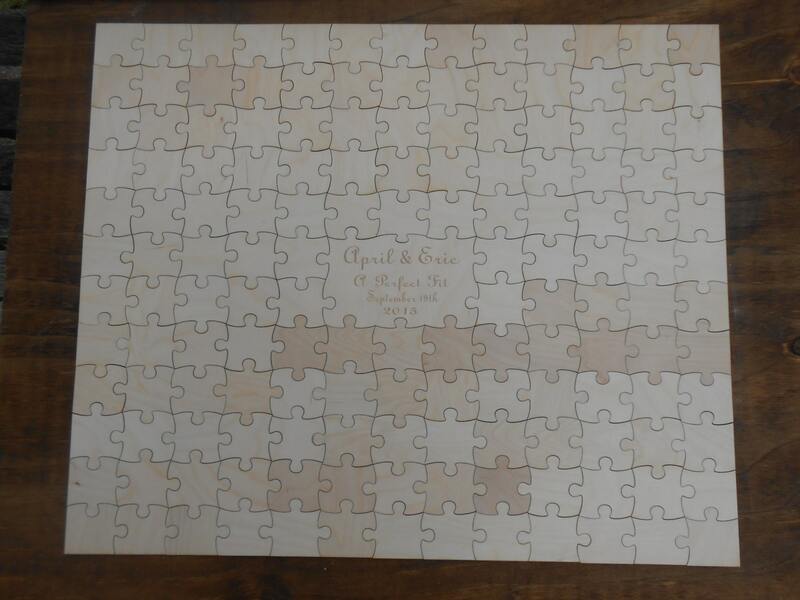 Puzzle will be shipped unassembled, with each piece numbered on the back. 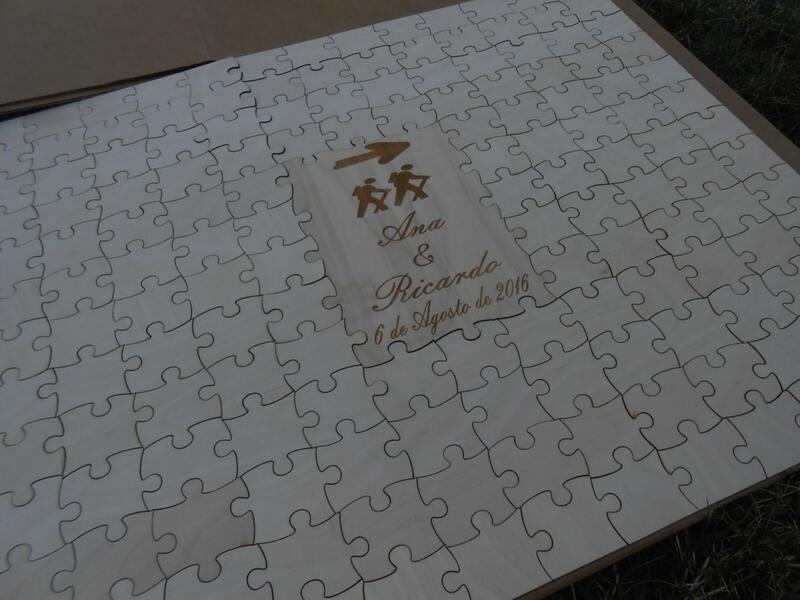 The puzzle only goes together one way, so the pieces must be numbered in order to put it together after your event.